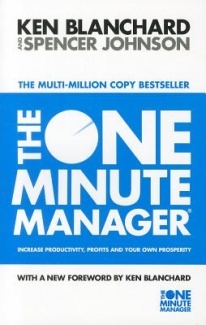 The One Minute Manager is a tiny (less than 100 pages) little book with just three simple steps to become a great manager. I’m sold. The book is written as a short story where a young enthusiastic job-seeker is looking for a great place to work; more specifically, a great manager to work for. His search brings him to the One Minute Manager. The One Minute Manager agrees to chat with him and shares three secrets of One Minute Management. It sounds very simple, which funnily enough is a recurring theme throughout the story. The later chapters of the book explain why these techniques work, with nice anecdotal examples. I’d definitely recommend reading The One Minute Manager whether you’re a manager or not. A key point of the story is that the One Minute Manager’s employees become One Minute Managers of themselves. You can read it in a lunchtime and the advice will always be useful.